Electronic Arts says the "football manager genre" is too niche and too dominated by another game to continue. As a loyal Canadian whose foremost sporting allegiance is to the one in which burly, club-wielding men in full body armor inflict horrific violence upon one another on a surface of frozen water (and occasionally bat at a little piece of frozen rubber), I have no idea if this news out of EA Sports counts as good news or bad. 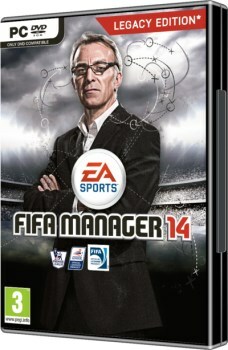 But it is, at least amongst the English and German readers out there, news: EA's FIFA Manager 14 will be the last installment in the series. "The football manager genre at this level of sophistication is highly specialized and primarily played in two countries (England and Germany), in which - on top of everything - one game has practically dominated the market in recent years," FIFA Manager designer Gerald KÃ¶hler explained. "The niche market and general trend toward online and mobile games were also contributing factors. Moreover, FM had reached a crossroads at which a new engine and/or corresponding online technology would be the only way to give the series a boost. When all these factors were evaluated, it led us to the decision to blow the final whistle." KÃ¶hler declined to name the "one game" that's put the boots to FIFA Mananger but Eurogamer pegged it as Sport Interactive's Football Manager, perhaps not the most creatively-named game of all time but one that's actually been used in the past by real-life football (which is to say, soccer) clubs as a scouting tool. FIFA Manager has been around for more than a decade, but that's a tough reference to beat. "You have our heartfelt gratitude. We hope you'll keep playing FM as long as possible, and that the fan sites will go all out to expand and improve the game wherever they can," KÃ¶hler wrote. "For all your years of support and all your passion for our game, we thank you."